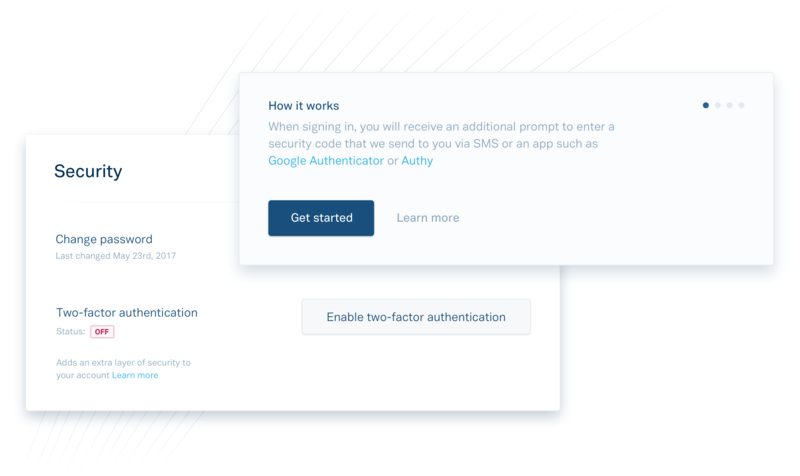 As part of our ongoing commitment to security, we’re launching two-factor authentication for the Dashboard today. This extra layer of security ensures that your Dashboard account is protected even if your password is compromised. 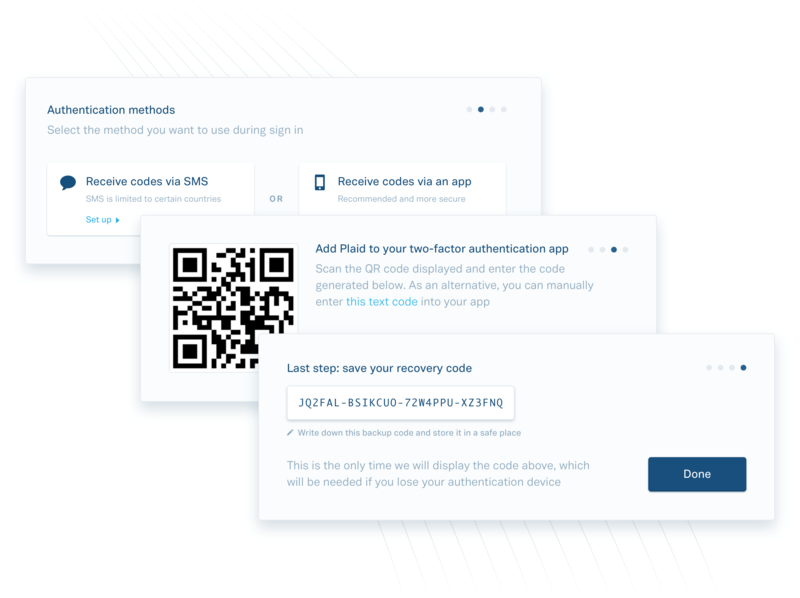 Currently, you can set up two-factor authentication in one of two ways: either with authentication codes sent to your phone via SMS, or with codes generated by an app such as Google Authenticator or Authy on your smartphone. To take advantage of this additional level of protection, we strongly recommend enabling two-factor authentication today. Just head over to the Security section under your Account settings in the Dashboard to get started. We’ve designed the whole process to be quick and simple so you can get back to building with Plaid. As a reminder, two-factor authentication is just one way to add extra protection to your account. Always be sure you’re also following security best practices such as using long, complex, and unique passwords for your Dashboard account. Feel free to check out our Help Center for answers to common questions.